You are aware of SEO. In fact, when you think of SEO you think of backlinking and keywords and phrases. But SEO goes far above and beyond creating great content. SEO is also very technical. And if you aren’t creating a website that is suited for search engine’s regulations, you are doing yourself a huge disservice. So we’ve created SEO for dummies, focusing on technical SEO. Read on to learn how you can master technical SEO to improve your website’s rankings with this SEO for dummies guide. Google can be compared to our big brother. We are always trying to impress them, and they are always watching. When you’re creating your website, you need to make sure that Google can easily navigate through your pages. This can be done by creating what is known as horizontal website architecture. Your pages should not be more than four pages deep within your website. Keeping your website “horizontal” not only means that it’s easier for your customers, it’s also easier for Google to crawl your site. Search engine bots, like Google’s Googlebot, go through your website and index all of your pages. If these search engine bots are able to access all of your pages easily, you’ll end up ranking higher in the search results. Have you ever been to a website, or clicked on a link that just looked sketchy? Nobody wants to click on a long-winded URL filled with numbers, symbols, and letters that make no sense. When you are creating your pages’ URLs, you want to make sure that you are keeping them short and relevant. Generally, they will mimic your site’s structure. For example, let’s say that one of your subfolders is “products.” You want to make sure that the URL is “www.yourwebsite.com/products.” This keeps things nice and clean, and more user-friendly. We’re a society that has a need for speed. The quicker we can get information, the better. And it is a general practice that if your website is too slow, users will immediately go elsewhere. Not only is this bad for website traffic, it’s also bad for your website’s SEO. And since this is SEO for dummies, let’s run you through how it does that. Google looks at site speed when they are ranking websites. If your website doesn’t quickly load pages, you could potentially be lowering your rankings. Also, remember how we said users will simply go elsewhere if they aren’t satisfied with page speed? This can also affect your rankings. Google looks at how often searchers are going to your website and turning the other way. So if you’re concerned about your site’s speed, you may want to look into what is affecting it. These are just a couple things that can slow your website down. Google has a great tool that allows you to see how fast your website loads, and what the main issues may be. 50% of all Google searches are done on a smartphone. So if your website isn’t optimized for mobile viewing, you are definitely missing out. If it’s not mobile friendly, don’t freak out just yet. It is not a permanent issue, and it can definitely be fixed by reworking your website. If you need help finding out whether or not your site is mobilized, Google is here to help you yet again. Use a conversion platform – There are platforms that will take your current website and convert it into a mobile friendly one. The only downfall of these types of conversion platforms is they will create two websites – one mobile, and one desktop version. Use plugins – Lots of content systems, such as WordPress, give you the option to use a plugin within them. These plugins will allow you to create a website that is also perfect for viewing on smartphones. Go mobile first – When you are creating your website, make sure that it’s created for mobile viewing first. You can do this by creating your website with a responsive design. This means that your website will start at mobile viewing, and expand as your viewers’ screen size does. In January of this year, Google announced that they were going to start penalizing websites for having popups. Not only do popups ruin the customer experience, they also ruin your rankings within search engines. So if you have any ads that interfere with a user’s experience, you may want to eliminate them on your website altogether. Not only will your visitors thank you, you will also see an increase in rank. SEO can be a tricky thing. And if you’re viewing this SEO for dummies, you may be struggling to grasp all there is to know. Thankfully, there are tons of tips to use that will improve your website’s rankings. We’ve only delved into a few of the many ways. 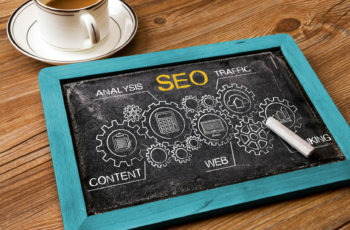 But just taking these few tips and putting them into action will help you improve your technical SEO. You will start reaping those rewards sooner than you think! Do you have more SEO tips to share? Let us know in the comments!